Notes: Elsdon Tower is a medieval tower house converted for use as a Rectory situated at Elsdon, Northumberland. It is a Grade I listed building. The property was first recorded as a Vicars Pele, a pele tower in the occupation of the Rector of Elsdon in 1415. 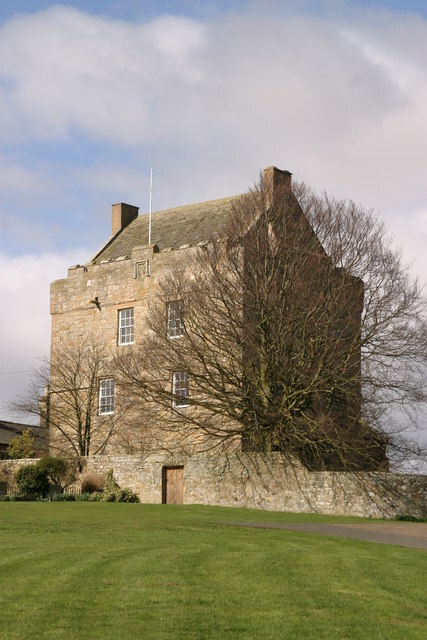 The tower, originally of four storeys, was reduced in the 17th century to only three with a steeply sloping roof above a castellated parapet In the early 19th century Archdeacon Singleton built an entrance porch and a two-storey, two-bayed house extension. The house was in use as the Rectory until 1960. It was fully renovated and restored in the 1990s. There is nearby a medieval Motte and Bailey castle, which was built by Robert de Umfraville and is known as Elsdon Castle.